When Russia affirmed it ceased its military operations in the Caucasus on 12 August, it accepted the peace agreement put forward by French and current EU president Nicolas Sarkozy. Over to Tskhinvali, the capital of South Ossetia, where Giulietto Chiesa was just last spring. 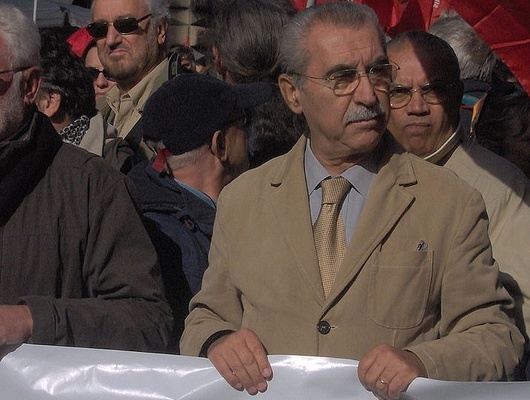 Giulietto Chiesa’s life is marked by the recent history of Russia and its former soviet republics. After having held important positions in the Italian communist party (dissolved in 1991) in the seventies, he worked as a correspondent in Moscow for daily newspapers Unità and La Stampa, and wrote numerous books on the post-soviet era transition. He left Russia in 2000. 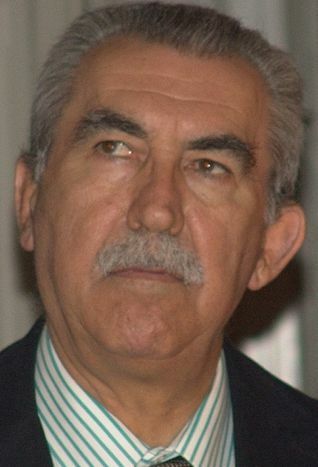 In 2004, Giulietto Chiesa was elected a member of the European parliament (MEP), where he was a member of the alliance of liberals and democrats for Europe, before switching to the party of European socialists. He continues to write for Italian, European, Russian, and American publications. What were the predominant political orientations of the Ossetians before the war? During my recent trip to South Ossetia, I spoke Russian with dozens and dozens of people of all ages, and I can assure you that not one of them told me they wanted Georgia to take control of the region. This is easily explained: each South Ossetian family lost at least one member in the war against Georgia in 1992. When Georgia declared its independence in 1991, South Ossetia and Abkhazia declared their own independence, which triggered the war. Moreover, in its latest aggression, Georgia proved that it does not consider the Ossetians as its citizens, by putting in place a true ethnic purge and forcing the Ossetians to leave their own country. What do you think of Russia’s reaction? Russia did precisely what had to be done. Georgia left two alternatives to Russia. The first option was to retreat after its military units in Ossetia suffered losses, bearing in mind that these units are there legally, according to the Dagomys agreements signed in 1992 by Georgia. Plus, retreating would have meant leaving the Ossetian population without protection - approximately 100, 000 people, of which a majority have a Russian passport. The other option was to push back the Georgian invasion troops outside the territory of the autonomous Republic of South Ossetia, which was done. What is the EU’s role in the Caucasus crisis? The meeting between French and Russian presidents Nicolas Sarkozy and Dmitry Medvedev on 12 August and the EU proposal for a peace agreement seemed to be a good initiative. It was useful for everything to get back in order, although it came a bit late. Nevertheless, I think Europe is partly responsible for this war: by unconditionally supporting Georgia’s president Mikheil Saakashvili and his claims in South Ossetia and Abkhazia, Europe gave him an alibi. One does not declare war without a reason. If Mikhel Saakashvili did it, it is because he thought that the United States would protect him as well as the EU, which he wants his country to join in a near future. It is not surprising that when Mikheil Saakashvili announced on television that his troops were going to attack South Ossetia, the EU flag was behind him. Why would the EU flag be placed there, behind the president of Georgia, considering that Georgia is not in the EU? Europe should have been more cautious with Georgia. And it was precisely to assess the state of relations between the EU and Georgia that I travelled to South Ossetia last spring. How would you assess the way the media covered the war? Generally, the information given by the media is a shame for the west. Western news channels broadcasted images and titles that were politically biased. Some claimed Russia wanted to conquer Georgia, although no evidence whatsoever backs up that argument. Saakashvili was portrayed as the unfortunate victim of Big Bad Putin, and very often, images of Tskhinvali razed by bombs were not shown. It is the worst coverage I have seen since the war in Iraq.